loooong time. So what would be the point of my blog? I'll post a photo of it when I get home. man. This guy probably wasn't even gay but he's French so who knows. now. Oh look! It's the Eiffel Tower! kids aren't allowed! We sat in the hot tub every night. clad oldies didn't make us wanna barf. scuzzy. It smells like old people. At least there's a washing machine. I better go buy an Hermes wallet to make myself feel better. > brother I wouldn't embarrass the family (again). Wish us luck! > See u at the gellert thermal baths! I don't know what it is! Prague totally smells like onions everywhere! charge $40 to use the pool and sauna! I in Kent, WA? Even H&M was emo. Ugh I can't wait to be back in Paris! Sitting at the airport now. First time on Air France! sale. And you wanna know what he got me? But I <3 him nonetheless! Ok ok... I couldn't decide which was my favorite this week. 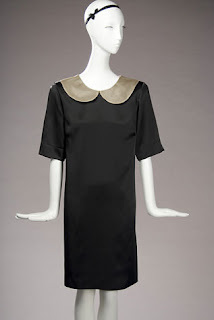 I really like this Wayf dress with the peter pan collar. It's on sale for $127.75. 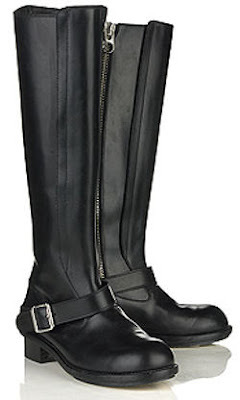 I also really like this 3.1 Phillip Lim, on sale for $228.20. Ron Herman always has good sales. If you want to save more, wait until next week or so. It'll probably be down to 70% off. But watch out, they might not have your size any more! Dammit! This is why Old Navy clothes are so cheap. I bought this top a couple weeks ago and just pulled it out of the laundry. Why did it shrink like four inches?? But at least I was too lazy to change into something else this morning. My muffin needs to breath. Hmm. Maybe I was wrong about Jovovich-Hawk being the next in line for GO International.. Then again maybe Jonathan Saunders is after. Who knows!? I'm not too familiar with his line but from the looks of his site, it's very pretty, not quite as edgy as the other designers. This is the article from Women's Wear Daily. Could Jonathan Saunders be the next designer to create a collection for Target? According to industry sources, the Scottish designer is in talks with the Minneapolis-based retailer to produce a limited-edition collection for Target’s GO International range, which spotlights new names in the fashion industry. If a collection does go ahead, Saunders would be following in the footsteps of Erin Featherston, Alice Temperley, Proenza Schouler, Luella Bartley and Loeffler Randall, who have all designed collections for the store. Saunders declined to comment Tuesday, while a spokeswoman for Target could not be reached for comment. Saunders, who is known for his inventive prints, is no stranger to cheap chic: His latest collection for the British high street retailer Topshop features jersey dresses printed with bold, primary color shapes. It will hit stores in the U.K. later this month. Saunders is also leaving London’s runways to show his fall 2008 collection during New York Fashion Week. hag: thank you for all your help while I was out. i was so sick on Friday. Couldn't even swallow my throat and head hurt so bad. Oh well it's behind me now. But thank you. hag: oh your [sic] funny. For more backstory go here. Is it me or is she totally passive aggressive? I don't care. I have three more days until vacation! I don't have time to boost her self-esteem. So I guess I'll just stomp on it. Walgreens is having a buy one get one free special for Revlon cosmetics this week. I'm going to get more mascara. I'll tell you how it goes. Maybe I'll look more like Jessica Alba after I use it since she's the one slangin' this new formula. HA! 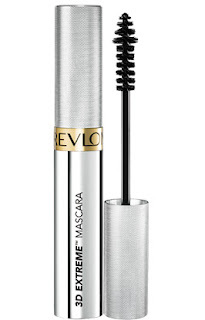 UPDATE: I bought the Revlon 3D Extreme mascara and also the Luxurious Lengths mascara. Now I have four mascaras on the waiting list. I don't have to buy mascara for a year! But I will anyway just because I'm a hyper-consumer. d'oh. I've been reading a lot about how there's going to be a recession in the luxury goods industry. People just can't afford it any more! I remember when fancy high-end designer bags such as Gucci and Prada were under $500. Now you can barely get anything under $1000. This recession could end up being a good thing for us po' folk though. Everything is going on sale! Just look at Neiman Marcus! Get an additional 40% off their Last Call Sale. Woohoo! So what we need to do as a group is not buy anything at regular price... Then the retailers will have to put it on sale sooner. And then we'll be able to afford to buy more stuff. And then we'll have more sizes and options on sale. And then my dreams of becoming Master of the Retail Universe will come true. And then we'll all be happy. MUAHAHAHAHA! Damn these big feet.. Barneys had these gorgeous Chloe boots on sale and had they had my size, I would've totally bought them. Alas, they only had a 6 and my boat feet couldn't even pretend to fit them. So instead I bought this Vince sweater. It's super warm and I love how the belt is hidden.. The straps just poke out of holes in the front. I got it in a charcoal color. It was 60% off! But really it was free since I had my gift cards from Christmas. I also bought a cotton Vince top for $19. I didn't really need it but how often do you find something at Barneys for that price? Besides, I've decided on a new rule... It doesn't really count as shopping if it's under $20. That's why I bought two tops at Old Navy yesterday. They were $7 each. Not shopping at all. Yep. Not shopping at all. 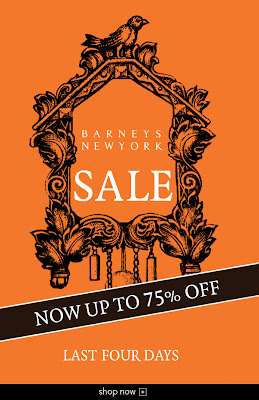 Barneys is open in 15 minutes. I'm so there. Would it be bad if I used the gift card my bf bought me to buy him our 5th year anniversary gift? D'oh. 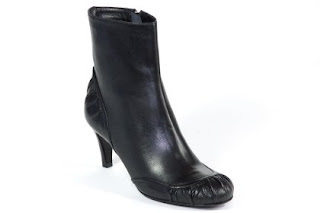 I've been coveting these Sigerson Morrison booties ever since I took that Ferris Bueller's Day Off. They're on sale now at Posh on Main but with only a 30% discount. *sigh* That's still $455. Aren't they super cute though? I knew about the UVill one and I heard rumors of the Southcenter one... But now there's gonna be on in Downtown! Yippeeee! I where on Pike... Ross? Hmmm. H&M, Hennes & Mauritz, the design-driven clothing retailer known for quality high fashion style at affordable prices, announces its expansion into the Pacific Northwest region with three store locations opening in Seattle during fall, 2008. H&M believes strongly in the Seattle market and is proud to be a part of this growing epicenter of trendsetting consumers. The new stores will be located in very distinct, popular shopping destinations within the Emerald City including University Village, Westfield Southcenter, and a downtown location on Pike Street, giving H&M the ability to serve a variety of customers in this diverse market. The new two-level store location in the University Village lifestyle center, near the University of Washington, will measure approximately 19,000 square-feet giving students, and everyone who is interested in fashion, access to affordable and stylish trends. H&M Westfield Southcenter will complement the revitalization of this super-regional mall with approximately 25,000 square-feet and two floors of shopping for the entire family. A third store, located on tourist-favored Pike Street, will offer 16,000 square-feet of great fashion finds for the urban shopper. The U.S. has been one of H&M’s most important expansion markets since the company’s New York debut seven years ago. There are currently 146 H&M stores in the U.S. and a total of around 1,500 stores in 28 countries around the world. I know, I know. 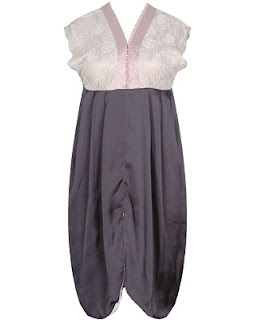 This dress isn't technically on sale, but at under $40! I think that it still qualifies as a good deal! I wonder which designer they stole this dress from. Nanette Lepore? Rebecca Taylor? Maybe I'm just feeling poor and that's why I was perusing Forever 21. Do you ever do that? F21 is always my fall back when I can't afford to buy anything but still need a fix. Dang... The fact that I even need a fix is rather sad. Oh well. I should go buy something to make myself feel better. Starting in February, Target will be the exclusive retailer of Converse One Stars. That skimmer is kinda cute! I'm not 100% sure but the line is supposed to be all encompassing with not only shoes but clothing and accessories. I love clothes that let me pretend to be athletic. Has Target canceled their Go International line? All the displays were taken down when I was there over the weekend. I did some snooping around and word on the street is that Jovovich-Hawk is the next designer. It won’t debut until March so we’ll just have to hold tight until Spring. 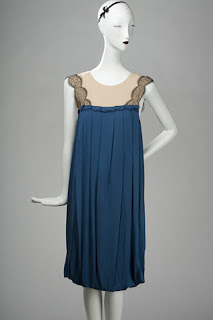 What were you favorite designers? I liked Proenza Schular, Alice Temperley and Behnaz Sarafpour. Didn’t Stella McCartney design for Target in Australia? I’d be all over it if she did one for the US. The picture below really doesn't do this hat justice. It's way cuter on my head. Anyway, I had been planning to knit myself a new hat for my trip but have been too lazy to go buy yarn and just too lazy to knit. 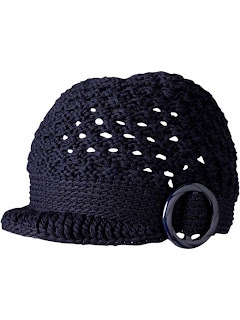 So I ended up buying this hat, even though it was kinda expensive. I'm pretty much over their sale. Actually, I'm pretty much over all the sales. Maybe because I'm leaving for Europe in TEN days! But I digress.. You can buy it at Banana Republic for $38. I think the name of Covergirl's newest mascara is lame... But I bought it over the weekend, per my cousin's recommendation, and it works fabulously! 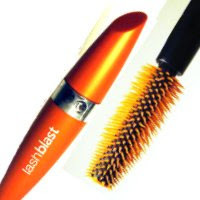 No clumps and my lashes are long and fluttery. At under $7, I don't feel guilty buying it. Do you ever have those days where everything food related is working against you? That was me last Friday. It started out as a normal morning, you might even call it good - we got free bagels at work and I had half a bagel. I usually have yoga during lunch on Fridays so I planned on picking up a little something afterwards. But I ended up so effing busy, all I had was one of the humbows I had made a couple days before. That filled me up for awhile but by the end of the day I was hangry. (Hangry = hungry + angry.) But unfortunately, I had an appointment that I was already late for so I didn't have time to get anything to eat. By the time I was done with my appointment, it was past 7 pm so my bf and I went out to eat. Nothing sounded good... All I knew was that I wanted to cram my face with something satisfying. After driving around my bf suggested we try this place nearby for good/bad Chinese food. You know the kind I'm talking about... It's not exactly authentic, but you still love the moo goo gai pan. Anyway, it was my bad for not sticking with the plan. I should've just ordered the orange chicken but nooooooo... I read the menu and decided to try one of the Hometown Specialities. I mean, you'd think if it's the speciality of the town, it'd be kinda good but apparently their hometown was a landfill because they served me a plate of hot fried garbage. Yep. It was a pile of gray meat and shredded carrots. I took a couple bites but it was just foul. I left completely upset and on the verge of tears. Across the street from the "restaurant" was a Taco Bell and my bf tried to be nice and said we'd pick something up from there. I guess the intercom at the drive-thru was malfunctioning because my bf couldn't understand a single thing he was saying. The poor guy kept telling him to "pull up to the window" and my butthead bf kept yelling "I don't want a potato burrito!" WTH?? Anyway, we finally get up to the window and order a crunchwrap supreme. You know what happens next??? My bf pays for the thing then effing drives off before we get the food!!! I'm so on edge that I burst out crying in the car because there's no food for me! There I am, sobbing in the parking lot of Taco Bell as my bf runs in and grabs the food. And then he forgets the hot sauce. WAAAAAAAAAAHHHHHHHHHHHHHH! Note to self: Buy some emergency food for my bag and car. How the heck did I forget this? Jimmy Choo's sale started last week! D'oh! It's not too late though! 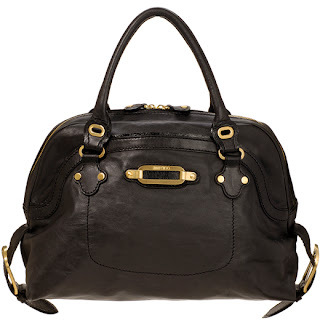 They still have this gorgeous Togo bag! I know you want to buy it for me. comin' down with a touch of crazy.. Seriously, I want to know if I have done something to offend you. If I have I would like to know. Also, did you block me from your IM or remove me for some reason? Just curious. I have been slammed for the last week with way more than I can handle but you don't even say “boo” to me. I don’t get it. (Another hag) finally stepped up and noticed I needed help and is pitching in. Granted I didn’t get up to let anyone know how slammed I was because it’s been non stop. I just don’t like feeling so distant. Can you throw me a bone as to what’s going on? No, you didn’t. I just looked at my IM and realized I’d been logged off gmail. So I’m sorry if you thought I blocked you - I didn’t. Do you feel like you’ve done something to offend me? You seem overly sensitive about that. It was an honest mistake that I didn’t re-log into gmail. I just don’t see why there has to be “something going on”. If it bothered you today, you could’ve just mentioned it to me. I have a lot of people listed on my IM so I don’t notice if people aren’t logged on. I really don’t like have to justify myself all the time. I’m not trying to hurt your feelings nor am I that sensitive about random things that happen in the office. I don’t take things personally. Like I said the other day, just chill. And if you needed help, you really should’ve asked. It’s not like I haven’t been here all week. All you had to do was say so. I’ve been working too and since I don’t see you as often now that the printer is away, I don’t know what you’re doing. I can’t exactly read your mind. You are right, my bad. No I don't expect you to justify yourself at all. I know you have been busy too, but you are right again, I need to just chill. I just have been exhausted all week which is probably why i can't get over what I have, probably all stress related. Oh and no I don't feel like i have done anything to offend you, to answer your question below. I just wish once in a while you could bop over and we go get a coffee or something. We never did go for lunch and I would really like to do that, if you are still game. In the meantime I will just chill like you said. Sorry I read into this whole thing wrong. Please forgive me. Hope you had a great evening. I am drinking a stella right now trying to get over an exhausting day and headache from coughing so much. I still would like for you to show me some of the work you're doing. It's not my intention to ever do it, but i would like to understand what it is your doing. Would you be game for showing me? I know you have been working hard on something with the plans, it's obvious. Hope you are enjoying it. It looks like you are. As I’ve told you before, I have not been working on ---. What I am working on has nothing to do with --- – I've been working on ---. I took this over from someone after she left. If you’re really that interested in ---, you need to talk to your supe. I got specific training on it and I don’t feel comfortable passing it on since I still don’t do a lot of ---. Honestly, it gets pretty annoying when I feel like I have to walk on eggshells and try to make you feel better and reassure you that I’m not mad. I don’t understand why you take things so personally. I’m sorry that you’re not feeling well and maybe that’s what’s making your emotions heightened, but I can’t keep defending myself. I’m here to work and that’s it. I’m not trying to make you feel bad nor do I want to have to make you feel better over nothing. This isn’t high school. Did I mention the Old Hag is nearly 50 years old? This took place some time in November I think and I basically tried to distance myself from her ever since. She's a trainwreck. I have never worked with anyone so needy! Well now she's back at it again - trying to be my bff. Oh heck no! She's been pestering me about the gym I belong to, saying that she's planning to join too. She even asked if I was "game to go three times a week during lunch." Eff that. I'm always looking for a workout buddy but no thanks.. I don't want a workout hag. I didn't bother telling her that I work out at the gym closer to where I live and not the one by the office. Hopefully, she'll join that one and then "Oops, I guess we can't work out together." And I guess she was pestering the gal who sits near me and kept asking her if I was at my desk because I wasn't responding to her IMs and she wanted to know if I was ignoring her or if I was just away from my desk. WTH? She's stalking me. If anything happens to me, the whole world will know who did it! Bad Hair Day! You know what I'm talking about! I got my hair cut yesterday (Thanks Tyson at Marco Two Union!) and it was looking hot cos he styled it curly. But now it just looks like a hot mess. *grumble grumble* Stupid Seattle wind/rain. Well, not really.. But it sure feels like it! I'm not allowed to buy anything because I'm leaving in 14 days (hahaha I'm rubbing it in any chance I get!) and everything is on sale! ARGH! I must remind myself that Paris sales will be much more fun. How sad is it that I find it very hard to refrain from buying anything for two short weeks? Anyhoo, you're allowed to shop so do it! 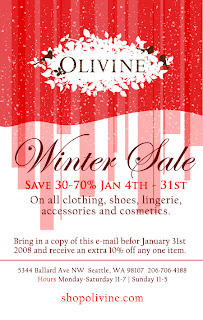 Everything at Olivine is on sale for 30-50% off. And if you live around these parts, stop in the store and get an additional 10% off any one item with this coupon! Lucky girl! This has nothing to do with shopping, clothes, sales or makeup. I just felt like publicizing my recent domestic accomplishment. And this is my blog so I can do whatever I feel like! So THERE. I spent the day making humbows from scratch, including the bread! I made about 60 of them and it took effing 4 1/2 hours! Holy crap. 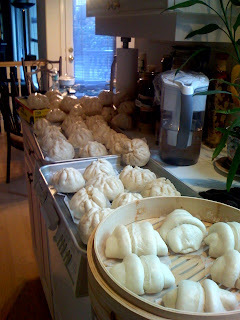 I need to get a life... After I eat one of my delicious buns of porky goodness. Just 15 more days until we leave for Europe! Eep! Starting in Prague, then to Budapest and Vienna. Sightseeing... History... Culture... blah blah blah... Then PARIS! Are you hating? I AM! We've been to Paris several times now so we're going to cut to the chase and just hit the shops. No more Louvre, Eiffel Tower, Versailles... Seriously. January is when the Paris sale start and that's all we're going to do. We have several vintage/discount shops staked out and we're going to shopping by district. Some of the shops include Didier Ludot and Les 3 marches de Catherine B. I doubt I can afford anything but it'll be fun to look. Vintage Hermes? Wow. We'll definitely be hitting up all the "normal" designer shops such as Chloe, Louis Vuitton and Chanel and of course we'll go to Galeries Lafayette and see what's on sale. Let me know if you have any recommendations for restaurants (and shops!) in any of the cities we're heading to..